I love the NYTimes new feature Recipe Redux which researches old recipes from their archives and then offers a new twist or modern revision. 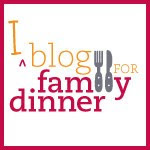 Often the old recipes, sometimes from 1970, other times from the 1800's, seem to be better, or at least just as interesting as the new and updated one. There is something comforting about cooking from an old recipe, be it a family one or one from a newspaper. Calorie and cholesterol debates aside, there is a reason some recipes get handed down and used again and again. They tend to be delicious, and moreover, reliable. I still find myself using the old James Beard and Julie Child books much more often than the pretty new books I ogled and splurged for at the Barnes & Noble. In this vein, The Good Cook Series by Time Life Books also sounds intriguing, though they may be out-of-print and hard to find. 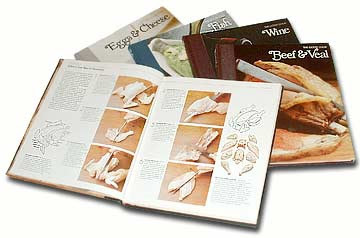 Their step-by-step instructions and diagrams suggest a "Cook's Companion" type series from the pre-magazine subscription days. The techniques and tips you can learn from these old cookbooks are often worth the search.